This wine merits every one of these 100 points. The 2001 Vin Santo di Montepulciano Occhio di Pernice (375 milliliters) is a singular work of art and a profound expression of Tuscany. I know Avignonesi owner Virginie Saverys would like to draw attention to the other wines in her portfolio, and she has every right to do so. But I just want to cry. When you have a wine as profound and perfect as this, everything else fades fast into the background. Virginie likes to say that Occhio di Pernice (made with red grapes) is the "male" and the Vin Santo di Montepulciano (made from white grapes) is the "female." This is a great observation. The bouquet here is smoky and savory, but brilliant and sophisticated at the same time. You get an infinite array of caramel, maple syrup, espresso bean, licorice and candied fruit aromas. There's so much dried fig as well. The concentration and thickness is out of this world. This wine is built like a tank and I'm not sure it will ever exit its drinking prime. Virginie Saverys is perhaps the most fascinating new player in Italian wine I have recently had the privilege of knowing. The Belgium-born shipping executive has confessed to always having a love affair with Italy. That's what brought her to the helm of Avignonesi, one of Italy's most celebrated wine brands. She started with a small investment share in the company and would eventually become outright owner in 2009. Since then, she has embarked on an ambitious program to improve wine quality and bring the spotlight back to the often overlooked Montepulciano area of Tuscany. One of her evergreen promises is value Vino Nobile di Montepulciano that can be purchased at half the price of neighboring Brunello di Montalcino. I must say that her 2013 Vino Nobile di Montepulciano stands tall within the competitive Sangiovese arena. 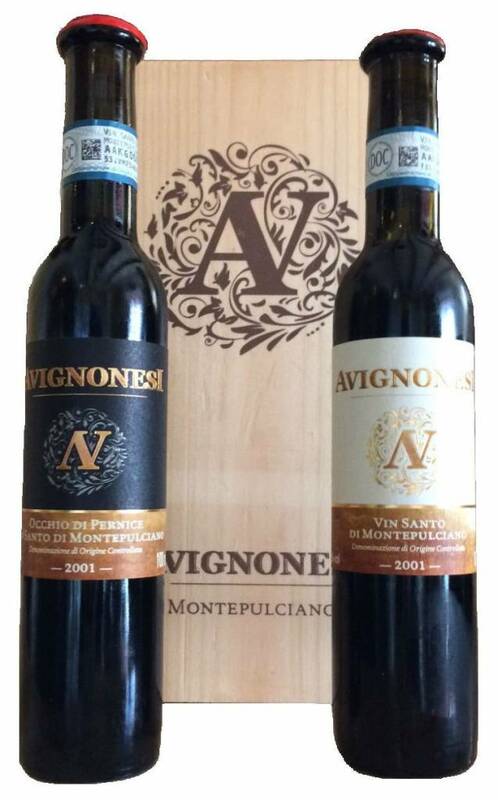 Avignonesi is of course the name behind one of the world's finest dessert wines. The Vin Santo di Montepulciano Occhio di Pernice defies all convention and exceeds all expectations. This wine offers a deep sense of visceral joy and pure excitement to those lucky enough to get their hands on a bottle. Liquid nectar may be hyperbole, but it certainly applies here. I am overjoyed to report that, after a long and often checkered past, the Avignonesi pendulum is swinging strongly towards quality under Virginie's dynamic leadership. Congratulations. 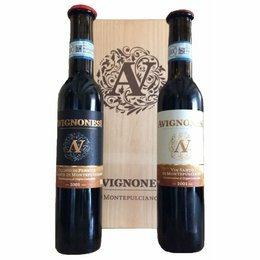 The 2001 Vin Santo di Montepulciano (375 milliliters) is a divine and superbly delicious sweet blend of Trebbiano, Malvasia and Grechetto. The results are super concentrated and simmered down to a virtual reduction sauce of deliciousness. There are so many aromas to name, but some of the most evident highlights include candied orange peel, almond marzipan, caramel, toasted coffee bean, vanilla stick, mocha, dark honey and fragrant yellow rose. The mouthfeel is creamy, rich and deeply layered. I'm suggesting a slightly shorter drinking window here compared to the Occhio di Pernice. But, the truth is: I have no idea. I'm pretty sure these wines will outlive anyone of legal drinking age.